Are you in the market for a new car, but aren’t quite sure where to search? 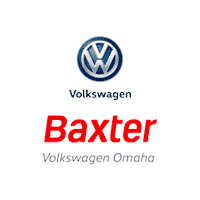 At Baxter Volkswagen Omaha, we want you to save on your next lease or purchase with the Volkswagen Friends & Family Program. This exciting opportunity to take home a stylish new VW for less allows friends and family members of Volkswagen Group of America (VWGoA) employees to get a $500 incentive when they lease or finance a new Volkswagen at our Lincoln-area dealership. Stop by our Volkswagen dealership near Lincoln, NE, with any questions about the program. Whether you want a fuel-efficient and stylish car like the Volkswagen Jetta or Passat sedan or a family-friendly and versatile ride like the VW Tiguan or Atlas SUV, you can save up to $500 off the price of a new Volkswagen with the VW Friends & Family Program. Hoping to get a sneak peek at the all-new, redesigned Volkswagen Jetta? Soar across Nebraska in the athletic and new 2019 Jetta, which is eligible to lease or purchase with this program. Plus, unlike most dealerships, the VW Friends & Family Program allows you to combine this $500 saving with our current offers and incentives. Check out our new Volkswagen specials to see how you can save!